You'll never lose track of your day when you have a polished Kendal Clock - Laser Engraved to keep you punctual. A custom desk clock is an excellent promotional gift that will last for years. The Kendal clock is a unique and stylish personalized gift, suitable for all occasions. It makes a thoughtful giveaway for special occasions, retail sales, sporting events, corporate advertising, and much more. 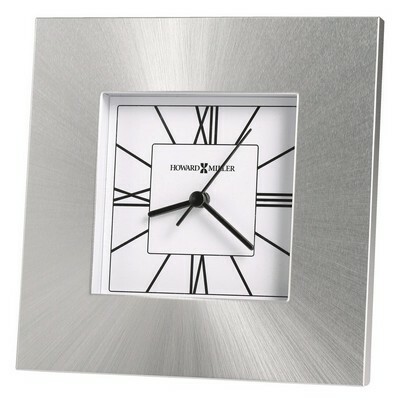 Laser engrave your company’s logo and message on the clock to promote your business with every ticktock. 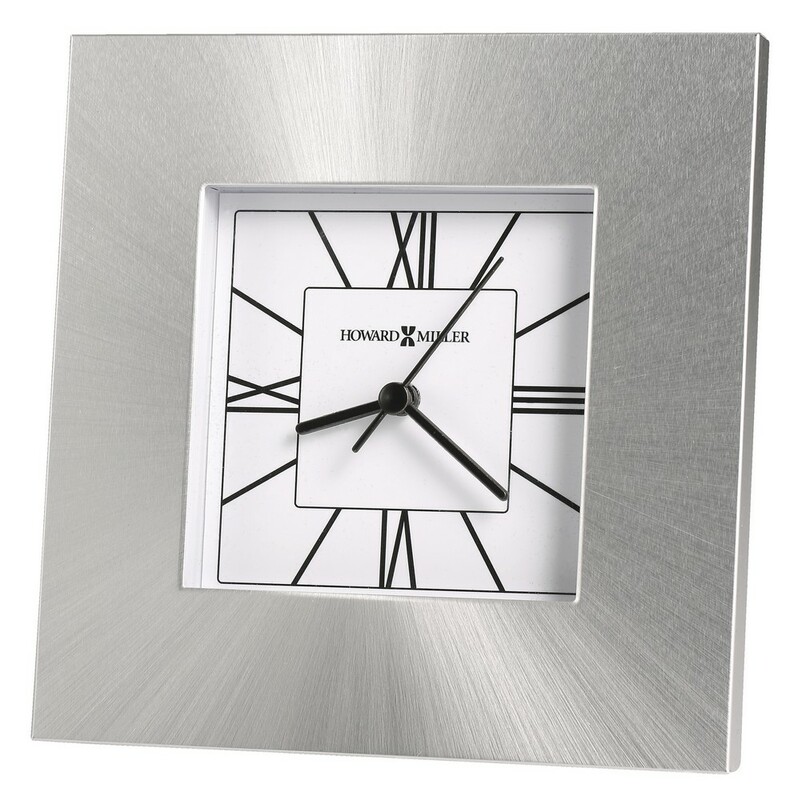 This square aluminum tabletop clock features a brushed sunburst pattern with a silver finish. The white dial comes with black Roman numerals and hour markers; black hour, minute, and second hands; and a glass crystal. This Kendal clock is battery operated, powered by one AA battery.